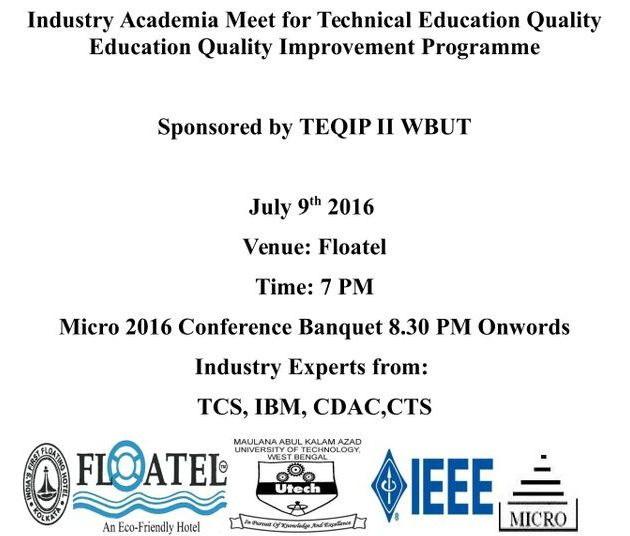 Organizer: Maulana Abul Kalam Azad University of Technology, W.B. In Association with: International Association of Science, Technology and Management. (3) CAE, Communication of Applied Electronics . Impact factor, indexes and other information about these journals are available in their websites also. For accommodation, many hotel/hostel names will be provided under accommodation menu. We shall book some rooms for student delegates/Guests. Sufficient rooms are in these hotel/lodges, by email/phone you have to book room. Student = $150(USD) : with accommodation in hotel for maximum of three nights. Faculty/industry delegates: $200(USD) with accommodation in hotel of maximum of three nights. Registration fee is for a single delegate. Accommodation is as shared basis. 90, Prabartak Palli(2), D.P.Nagar, Belghoria, Kolkata-700056, India. 1. Journal of MicroSystem Technologies Index (Impact factor 0.952 (in 2013). Science Citation Index, Science Citation Index Expanded (SciSearch), Journal Citation Reports/Science Edition, SCOPUS, INSPEC, Chemical Abstracts Service (CAS), Google Scholar, EBSCO, Academic OneFile, Academic Search, ACM Digital Library, CEABA-VtB, CSA Environmental Sciences, Current Contents/Engineering, Computing and Technology, EI-Compendex, Gale, INIS Atomindex, OCLC, PASCAL, Referativnyi Zhurnal (VINITI), SCImago, Summon by ProQuest. is now being indexed with EBSCO, Google Scholar, Informatics,ProQuest CSA Technology Research Database, NASA ADS (Harvard Univ. ), CiteSeer, UlrichWeb, ScientificCommons (Univ. of St Gallens), University of Karlsruhe, Germany, PennState University. note: these info was collected from journals website, accessed on 25/12/2014. He got his DSc. In Microelectronics Engineering at the University M. Mammeri, Algeria in collaboration with other International Institutions. He is a full professor since 2005 and had many scientific positions. He was elected associate at ICTP UNESCO IAEA in June 2000 and elected again as a senior associate in 2009, position he holds up to date. He participated in very important events such as the national government projects as well as international events such as the G8- UNESCO Forum organized at ICTP in 2007. He has been elected as Bureau member of the African Physical Society in 2010. He directed many international research projects namely with CNRS France. He is director of government research projects from 1995 up to date. 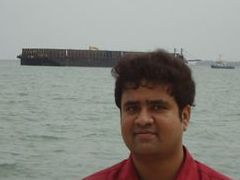 He is a reviewer at different journals and Associate editor at the ARP ICTP. 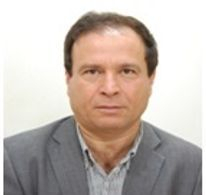 He started the first master in microelectronic Engineering and has been elected as a member of the Pilot committee of the Algerian National Microelectronic Network. 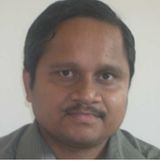 Dr. Paresh C. Ray, professor and director of material science and technology program, in Jackson State University, Jackson, Mississippi. Dr. Ray has published over 150 scientific publications with h index 47. He is serving as associate editor and editorial board members for several international nano-science and technology journals. He is the recipient of the Mahatma Gandhi Pravasi Samman Award (INDIA) , Mississippi Innovator award (USA) , HEADWAE Award by Mississippi State Legislature (USA), Chinese Academy of Sciences award for bio-medical technology (China), European Academy of Sciences Research Excellence Award (UK) , National Science Foundation Recognition for Material Science excellent (USA), etc. Prof.Rajendra Prasad: Professor, Dept. of Electrical Engineering, Indian Institute of Technology, Roorkee, Uttarakhand,India. 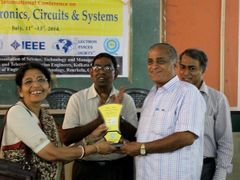 Prof.Abhijit Biswas received the B. Tech., M. Tech. and Ph. D. (Tech.) degrees from the University of Calcutta. He worked as a Reader in the Dept. 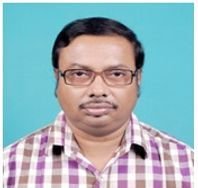 of Electronics and Telecommunication Engineering of Jadavpur University during 2006-2008 and is currently working as a Professor in the Department of Radio Physics and Electronics, University of Calcutta. In the mean while he worked at Inter University Microelectronic Centre (IMEC), Belgium in 2007. His research interests include semiconductor physics, modeling, simulation and characterization of electronic and optoelectronic devices including HBTs, HEMTs and CMOSFETs, LEDs and LASER diodes, and circuits. He published 45 technical papers in peer-reviewed International Journals, one book chapter in Nova Science Publications, USA and more than 50 papers in International Conferences/ Workshops. He received the best paper award five times in International conferences. He supervised three Ph. D. candidates and is currently supervising six Ph. D. scholars. He is a fellow of Institution of Engineers (FIE), India. 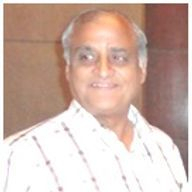 He is a member of IEEE, Electron Device and Photonics Societies, life member of Indian Physical Society (IPS) and Institute of Electronics and Telecommunication Engineers (IETE). He is the recipient of UGC Research Award during 2012-2014. CCSN-2015: Opening Session: from left Prof.C K Sarkar(Chairman IEEE Kolkata), Dr. Susanta Pal(Scientist , grade H+ of Atomic Energy, India), Dr.Besh Ray(Aetherspectrum Incorp,Canada), Prof.B P Sinha(Professor, ISI Kolkata), Prof.Dulal Acharjee(General Chair CCSN2015)and Prof Soumya Pandit( IEEE-EDS Chairman and Asst.Prof. of University of Calcutta) . 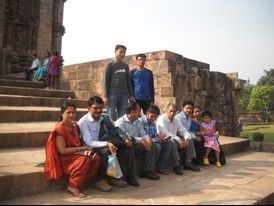 Seminar conducted by CCSN2010 at NIT Rourkela campus IE(India) Seminar Hall, audiences at hall. Micro2016: Inaugural Session: from left: Prof.Atanu Kundu(Chairman, IEEE-EDS Kolkata), Prof.Rajendra Prasad(IIT Roorkee), Prof.Ahmed Yahya(Al Azhar University, EGYPT), Prof.Sparsha Mani(Ex. Director of IIEST, Shibpur, W.B), Prof.Dhrubajyoti Chattopadhyay(VC of Amity University Kolkata), Prof.Subrata Kumar Dey(VC of Maulana Abul Kalam Azad University of Technology,W.B), Dr.Rafiqul Islam(Registrar of MAKAUT), Prof.C.K.Sarkar(Chairman IEEE Kolkata section), Prof.Dulal Acharjee(General Chair, Micro2016), Dr.Atri Bhowmik(Finance Officer, MAKAUT), Prof.Debashis De(HOD of CSE & IT, MAKAUT). 1. Guidance of any Science Project for the students of School/College /University. Micro2016: Mrs.Ankita Pramanik, received 2nd Best Paper Award. Micro-2015: Guests in opening session, in Hotel Hyatt Regency, Salt Lake Kolkata, India.